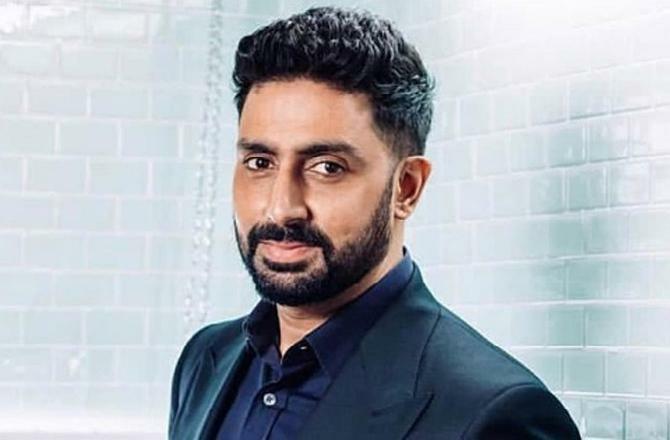 Abhishek Bachchan : currently working on Anurag Basu's film. HomeAbhishek Bachchan Anurag Basu's Abhishek Bachchan : currently working on Anurag Basu's film. It's party time for Abhishek Bachchan The actor has been shooting for Anurag Basu's film. Last year, Junior B had celebrated his big day in Australia where he was holidaying with wife Aishwarya and daughter Aaradhya. Abhishek has lots to celebrate as Manmarziyaan put him back in the scheme of things. Junior B now wants to start anew with meaty roles and not play second fiddle to anyone. This was Ratnani's calendar's 20th year, and many other celebrities like Aishwarya Rai Bachchan, Vidya Balan, Kriti Sanon, Kartik Aaryan, Sunny Leone, etc, can be spotted in the calendar. Take a look at Abhishek's picture from the calendar. It is also reported that power couple Abhishek and Aishwarya Rai Bachchan are now looking for a script to work on together. They were planning to work on a film titled Gulab Jamun together, but as per news reports that project is on the backburner for now. So, currently, the pair is looking for a suitable project to act in together. Abhishek and Aishwarya's last project together, Raavan (2010), had received mixed reviews at the box office.